For big families, laundry is an unavoidable fact of life. Children often find inventive ways to dirty their clothes that take multiple washes and even some hand-washing to get clean again. Especially for people with busy schedules, waiting around all day for the washing machine to finish its cycle can be a waste of time. That is where a luxury front-loading washer from Designer Appliances can save the day. As opposed to old top-loading machines, front-loaders have shorter washing cycles across the board. Moreover, they use less water and energy, which not only saves time in your day, but money in your wallet over the long run. Anybody with an old, noisy washing machine can immediately tell how inefficient outdated models are when it comes to energy efficiency and water usage. 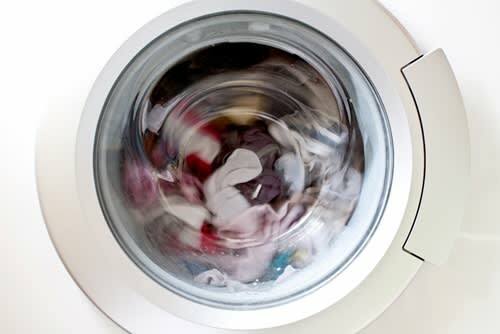 A top-loading washer that vibrates excessively is likely using too much electricity to drive the motor, which could be costing you on the electricity bill. However, Energy Star explained how front-loading washers are significantly better for the environment and for your wallet than their top-loading counterparts. The average front-loader uses only 270 kilowatt hours and $85 to run over the course of a year, as opposed to the wildly varying amounts for top-loading machines. Front-loading washers also employ a water-jet system that periodically soaks clothes with a high volume spray. Because these machines do not fill an entire tub with water, they use only 15 gallons per load compared to 23 for top-loaders. Over the average life-span of a front-loading washing machine, you could save 27,000 gallons of water. The innovative water-jet system also cuts down on the cycle time. Rather than soaking clothes in water, agitating the detergent throughout the load and then spinning the clothes dry, front-loading washers spin your clothes through high pressure water streams. The savings in time mean more laundry cleaned quicker. While front-loading washers are undoubtedly the crown jewel of the modern laundry appliance market, manufacturers have continued to improve on the design of the machines upgrade energy efficiency and convenience. Remodelista explained that while mold and mildew build up inside the tub and on lip of the door were an issue for early front-loading models, front-loading washers now come equipped with automatic systems to prop the doors open. This promotes air drying and eliminates the threat of harmful substances growing inside your new deluxe machine. Once you factor in anti-bacterial surfaces and water drainage mechanisms, upgrading to a deluxe front-loading washer may seem like the logical choice.